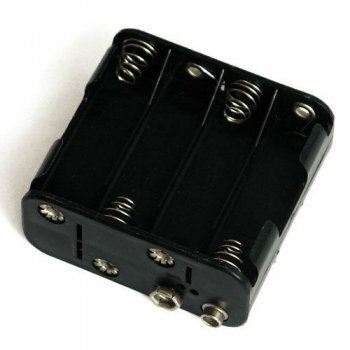 Size: 2.5 x 2.5 x 1.125 inches Plastic battery Box. Holds eight AA batteries giving an output of 12 volts. An excellant power source for those small displays needing 12 volts to light them up. A temperary source for testing or when you do not have a convenient outlet for your transformer.